Introducing Ionic 4: Ionic for Everyone — This release makes Ionic a set of web components using custom elements, allowing them to be more easily integrated into mobile, desktop and PWAs. Desktop to Mobile: Developing for Multiple Platforms without Losing Your Mind — Explores how you can share most of your code between desktop and mobile, make reasonable trade-offs between functionality, and deal with the challenges of supporting Android & iOS from the same code base. 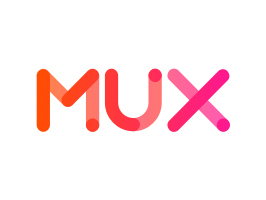 Mux Video for Headless CMS — We’ve combined forces with Cosmic JS so you have the power to structure, integrate, and brand your platform in a way that makes sense for you. My Wish List for Progressive Web Apps in 2019 — Some ideas on how to make PWAs a better app platform. Why Founders Should Start With a Website, Not a Mobile App — The author explains their reasons why founders should almost always build a website first instead of a native app in the early days of a startup. Microsoft Is Killing Off Windows Phone — Microsoft says anyone using its smartphone platform, Windows 10 Mobile, should switch to Android or iPhone. How to Build a PWA, an iOS App, and an Android App From One Codebase — This is from a few months back but is a good look at how code sharing with both NativeScript and Angular works. The Shape Detection API: A Picture is Worth a Thousand Words, Faces, and Barcodes — Runs through what the Shape Detection API can do, and where you may want to put it into action. Introducing the NativeScript Keyboard Toolbar Plugin — A plugin for both Android and iOS that can surface contextual tools, hints and buttons above the software keyboard - similar to how to autosuggest works. Best Practices for Improving Page Load Speed Whitepaper. Download Now — Deliver rich media fast and improve conversions. Download this whitepaper to get best practices for optimizing for web page speed. The Secret Weapon to Learning CSS — A way to learn the mental patterns and key underpinnings behind CSS to help you achieve your design goals. Bootstrapping a React Native Project in 2019 — Many things have changed in the React Native world when it comes to bootstrapping, read on to find out the latest. Seemingly Impossible Swift Programs — Attempting to implement some functions in Swift that should be ‘absolutely impossible’. A Custom Flutter Engine Embedder for Desktop — Allows you to embed a Flutter (Google’s UI framework for mobile apps) app on Windows, Mac, and Linux using the Go programming language. 5G or Faux G? — A reality check on the promises of 5G.